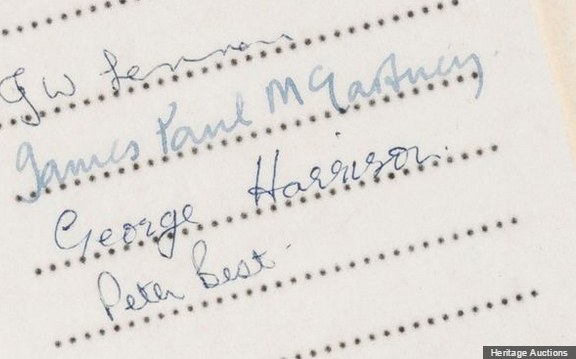 A record contract signed by John Lennon, Paul McCartney, George Harrison and drummer Pete Best in 1961 sold at auction Saturday (9/19) for $75,000. The soon to be Beatles recorded and released the song My Bonnie as Tony Sheridan and the Beat Brothers in Germany. The six page document had been in the possession of a German Beatles collector that died five years ago. His estate arranged the sale through Heritage Auctions.